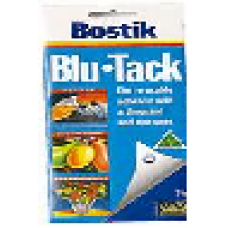 Permanently plastic, reusable multi purpose adhesive. Excellent adhesive qualities. Very pliable. Non toxic - safe for all the family. Designed to hang posters, hold many ordinary house hold objects in place, temporarily stop leaks around the house. Has a multitude of uses in the home, office,school,factory/workshop, etc.